State owned power supplier Abu Dhabi National Energy (TAQA) has sold its 7% stake in US electric carmaker Tesla. TAQA, three-quarter owned by the government, said it made a profit of $113m (£71m) on the sale. 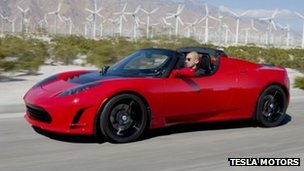 Tesla was founded in 2003 and its best car is the 2008 Tesla Roadster, which is sold in 32 countries. The company, which also has part shares owned by carmakers Daimler and Toyota, has seen its 2010 share listing price of $10 double since then. Tesla expects to become profitable in 2013 and envisages a tripling of revenues this, helped by July deliveries of its premium electric car, the Model S.
Abu Dhabi’s TAQA said it had sold the 7.3 million shares transferred to it by the Abu Dhabi Water and Electricity Authority in late 2010. It said it had “admiration for Tesla’s vision, technology and products”, but that the carmaker was a non-core investment for the body. The emirate remains the largest shareholder in Daimler through its sovereign wealth fund Aabar Investments. A lawsuit by media giant Viacom against Google over copyrighted videos on YouTube can be heard in court again. Viacom has accused Google of “massive intentional copyright infringement”. In 2010, a lower court dismissed Viacom’s $1bn (£630m) case against Google, which owns YouTube. But a court of appeals said the dismissal was based on a mistake, as a jury could have reasonably found that YouTube knew of specific copyright infringements. 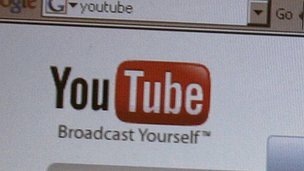 Google took over YouTube for $1.76bn in 2006. Viacom owns popular cable channels such as MTV, Comedy Central and Nickelodeon. Viacom had claimed that “tens of thousands of videos” based on its copyrighted works had been posted on YouTube, and that both YouTube and its owner Google had known about it but had done nothing about it. Google and YouTube had argued that they were entitled to “safe harbour” protection under digital copyright law because they had insufficient notice of particular alleged offences. The court in Manhattan in 2010 agreed with this. But the 2nd US Circuit Court of Appeals has now reinstated the case. Google – good or evil? A group of former World Bank officials has written a letter backing Nigeria’s Finance Minister, Ngozi Okonjo-Iweala, to be its next president. Traditionally the post is given to the candidate put forward by the US, which this time is Dr Jim Yong Kim. But in an open letter, 35 former economists and managers said the Bank should choose the next chief on merit. Another group of economists this week signed a petition backing Colombia’s Jose Antonio Ocampo. This is the first time the World Bank has had to choose between candidates since its creation more than 60 years ago. The executive board of the Bank has to choose between Mrs Okonjo-Iweala, a former World Bank managing director, Jose Antonio Ocampo, a former finance minister of Colombia, and Jim Yong Kim, a public health expert and president of Dartmouth College in the US. The Bank is holding interviews next week and plans to select the successor to outgoing president Robert Zoellick by 20 April, when it starts its spring meetings with the IMF. The three-way fight is attracting increasingly passionate comment from candidates’ supporters. It has also shone a light on the way the World Bank chooses its head. The US, which is the Bank’s largest shareholder, has always picked the Bank’s president. It, Europe and Japan have 54% of the votes. 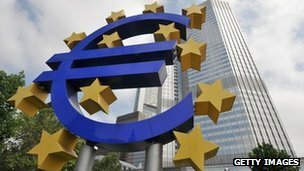 Under an informal arrangement, in return, Europe appoints a European as head of the International Monetary Fund (IMF), which is the Bank’s sister institution. It is currently run by Frenchwoman Christine Lagarde. Emerging economies have become increasingly unhappy with this system and are pushing for change. The leaders of Russia, Brazil, China, India and South Africa recently called for a review of that weighted voting system. The nations, sometimes referred to as the Brics countries, are working to chose a joint candidate, according to the Brazilian finance minister Guido Mantega. Speaking after a meeting with the US-nominated Jim Yong Kim, he said Brazil has not yet made up its mind who to promote. He said Dr Kim had vast experience with the developing world, but he would wait until he had met the other candidates before making up his mind. The letter in support of Mrs Okonjo-Iweala, which is signed by high-ranking managers and economists, including Tunisia’s central bank chief, Mustapha Nabli, criticised some aspects of the selection process. It said that it still involves nomination by governments, based in part on nationality, and without an agreed list of qualifying criteria. It called for the process to be made in “an open, transparent, merit-based, and competitive manner rather than simply appointed in line with understandings that no longer reflect the world as it is today”. Mrs Okonjo-Iweala herself has called for a televised debate between the three candidates. 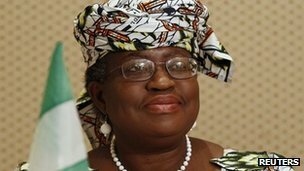 Mrs Okonjo-Iweala “would bring the combination of her experience as finance and foreign minister of a large and complex African country with her wide experience of working at all levels of the Bank’s hierarchy in different parts of the world, from agricultural economist to managing director”. Kim Yong Jim: Currently president of Dartmouth College. Backed by the US for the job. Born in Seoul, the 52-year-old is a leading figure in global health. A doctor and former director of the HIV/Aids department at the World Health Organization..
Medical doctorate and PhD in anthropology. Ngozi Okonjo-Iweala: The Nigerian finance minister, 57, has been endorsed by three African countries – South Africa, Angola and Nigeria. Previously a managing director at the World Bank. PhD in regional economics and development. Jose Antonio Ocampo: Currently professor of professional practice in the International and Public Affairs department of Columbia University. Nominated by Brazil – but not endorsed by – in the name of the Dominican Republic. Former Colombian finance minister and has held other posts in government, including agriculture. He has held a number of positions in the United Nations, including as UN Under-Secretary General for Economic and Social Affairs. BA in economics and sociology and a PhD in economics from Yale University. It says “she would be the outstanding World Bank president the times call for” and pointed out that should would be the institution’s first female leader. They said they cared too much about the institution not to speak out. The petition is support of Mr Ocampo was signed by economists from countries including China, India and Brazil, as well as two former governors of the Chilean central bank. It pointed to his background working for UN agencies where “his intellectual leadership and commitment to development led to significant improvements in these institutions contribution to development thinking and to development policy design”. He has also been setting out his views of the future shape of the World Bank. Writing in the Financial Times newspaper, he said the Bank’s core mandate must remain that of reducing poverty, addressing growing inequalities that have appeared in recent decades and eliminating gender inequalities. Mrs Okonjo-Iweala has also been outlining what she thinks should be the Bank’s main goal. She said that it should be creating jobs, in both developing and developed countries, with a particular focus on youth unemployment because of the knock-on social problems it caused. Dr Kim, who once did a turn as a rap artist at a social event at Dartmouth College, has the support of Canada, Japan and South Korea, where he was born, as well as the US. He has not yet given an interview about his views on the role at the World Bank, but has described it in a statement as “one of the most critical institutions fighting poverty and providing assistance to developing countries in the world today”. Profiles: Who is up for the job? Queues for petrol are easing after unions announced there would be no strike over Easter, motoring organisations say. The government earlier changed its advice to drivers saying it was no longer urgent to top up petrol tanks, following two days of panic buying. 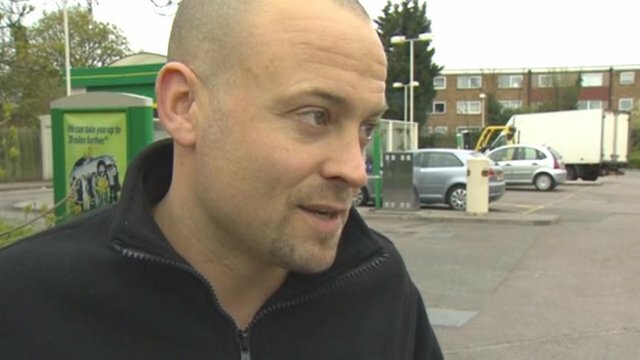 There have been some reports to the BBC of continuing shortages at a few petrol stations. But retail figures suggest demand for petrol waned from Thursday to Friday. The AA described “a rapidly improving picture at fuel stations”. The RAC motoring group also said it was “business as usual”. “People should buy fuel as and when they need it – there is no shortage and panic buying should be avoided,” a spokeswoman said. Demand for fuel appeared to be dropping – with unleaded petrol sales down from 172% above normal on Thursday to 57% above normal on Friday, according to independent retailers’ group RMI Petrol. Diesel sales were down from 77% above normal on Thursday to 29% above normal on Friday. RMI chairman Brian Madderson told the BBC he hoped full petrol services could be resumed “by Monday, maybe Tuesday of next week”. But he added that panic buying was “still rife” in some areas of the country. The BBC has also had reports on Saturday of some queues and shortages at petrol stations in Leeds, Egham in Surrey, Bromley in south-east London, Finchampstead in Berkshire and St Albans in Hertfordshire. In Guildford, Surrey, one petrol station is refusing to sell motorists any more than £25 worth of fuel. Motoring experts now warn of a two to three-day backlog as haulers attempt to refuel petrol stations. A BP spokesperson said there had been a reduction in demand on the forecourts but it still had a few sites which had completely run out of stock and were awaiting deliveries. Meanwhile, several Labour MP’s have called for Cabinet Office Minister Francis Maude to resign over comments he made advising storing petrol in jerrycans. A York woman, who suffered severe burns while decanting petrol at home, remains critically ill in hospital. Although a strike by fuel tanker drivers over Easter was out of the question as of Saturday, the threat of future industrial action was not yet over. Unite assistant general secretary Diana Holland said the union was focused on next week’s talks with distribution companies through the reconciliation service Acas – but this did not mean it had backed down. Acas said unions and fuel bosses would not meet until after Monday but said it was “pleased” that Unite was ready to start substantive talks as soon as possible. An Acas spokesperson said: “We are meeting all of the employers involved in the dispute on Monday to complete our exploratory talks with them. Speaking to the BBC, the head of Unite, Len McCluskey, condemned the government’s “shambolic handling of the whole situation”. 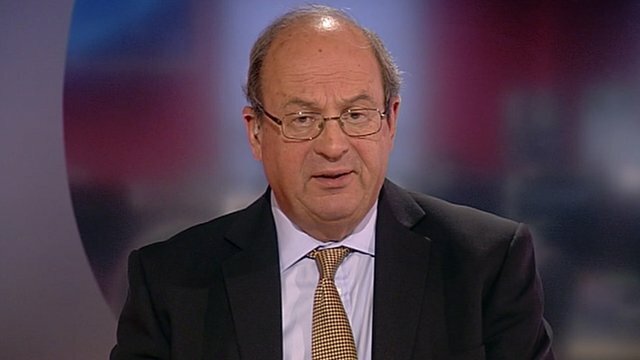 He also called for the prime minister to refute accusations the government had “deliberately” caused the dispute. When asked why the union had failed to announce sooner that there would be no Easter strike, Mr McCluskey said: “We did it as early as we possibly could”. A Conservative Party spokesman said: “The government has always been clear this is about doing everything possible to protect the country from a potentially crippling strike, and not about playing politics. Peter Carroll of Fair Fuel UK said the government’s advice “should have been to keep calm and carry on because there wasn’t a strike”. He said the main crisis in the UK was “the price of petrol and diesel”, which the government was failing to address. There has been a setback to the government’s plan to attract investment in new nuclear power stations. That is after RWE Npower and E.On announced they will not develop new nuclear power projects in the UK. The two were planning to invest in new plants in Anglesey and Oldbury-on-Severn, near Bristol, under a joint venture called Horizon Nuclear Power. The government says it is disappointed but there remains “considerable interest” in the project. The firms blamed problems raising finance for power projects and costs associated with decommissioning nuclear power plants in Germany. They formed Horizon Nuclear Power, based in Gloucester, in 2009. 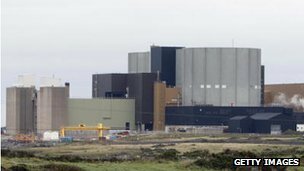 It was working on plans for new nuclear power stations at Wylfa on the Isle of Anglesey and at Oldbury-on-Severn in South Gloucestershire. They are two of eight new projects named by the government to replace old power plants which are due to close by the end of the decade, and which make up about a quarter of the UK’s generating capacity. But last May Germany decided to close down its nuclear power stations by 2022, following the disaster at Japan’s Fukushima nuclear facility. For RWE and E.On, which own most of Germany’s power stations, it was an expensive decision and undermined their enthusiasm to invest in nuclear power elsewhere. Looking for investors”It’s a big deal that they are pulling out,” Malcolm Grimston, an associate fellow at the Chatham House think tank, told BBC News. RWE and E.On want to find another company, or consortium, to take over the project. But analysts are now questioning whether firms can make money out of nuclear power in the UK. The move by the German firms follows the decision last September by Scottish and Southern Energy (SSE) to pull out of a deal to develop a new nuclear power station. The energy company sold its 25% stake in NuGeneration to partners GDF Suez and Iberdrola. It said it wanted to focus on renewable energy, as do its German rivals. E.On says it will concentrate on projects with quicker results than nuclear, which takes 10 years to start generating electricity. ‘Make-or-break’The future of nuclear power may become clearer in May when the government announces its plan to reform the energy market. Measures will be introduced to encourage investment and create a balanced range of electricity sources. BBC business editor Robert Peston says sources at the energy companies describe this as “a make-or-break decision” as to whether the government is prepared to abandon its previous position that there won’t be any substantial subsidies for nuclear, either from taxpayers or customers. Labour stressed that nuclear power was vital to “to make us less reliant on volatile fossil fuel prices, increase our energy security, and keep prices down for families”. ‘A shambles’Unions have been highly critical of government policy as well. According to the union, Unite, the proposed nuclear power station at Wylfa could generate 5,000 jobs on Anglesey and support jobs at the Springfields fuel plant in central Lancashire. Unite national officer Kevin Coyne said: “Britain needs Project Horizon to succeed for the sake of our future energy needs and thousands of skilled jobs which would be created as a result. The Prospect union, which represents some of the 120 highly-skilled employees working at Horizon’s headquarters in Gloucester, as well as staff at the existing Wylfa site, expressed concern about the broader economic consequences. “At a time when we face the closure of several large coal-fired power stations between now and the end of 2015, the Horizon venture was to be a major contributor in achieving a new UK fleet of nuclear power stations to provide a secure low-carbon energy supply for the future,” said Mike Clancy, general secretary-designate of Prospect. A man who was synonymous with a generation of gogglewearing daredevils, travelling at breakneck speeds and at times crashing spectacularly, Enzo Ferrari once personified the glamour and danger of 20th Century motorsports. And although the car manufacturer shuffled off to the great starting grid in the sky more than 20 years ago, March sees the opening of the newEnzo Ferrari Museum in his hometown of Modena. His birthplace and workshop have been restored, while a striking new building has sprung up next door, designed – with characteristic Ferrari subtlety – in the shape of a bright yellow car bonnet. Inside this museum, various exhibits help bring to life the bitter rivalries that existed between Ferrari and other automobile manufacturers of the era. A minor traffic jam of classic cars includes the first car that Enzo Ferrari ever built. Jaguar Land Rover (JLR) and Chery Automobile have agreed a joint venture that should pave the way for production of Jaguar and Land Rover cars in China. A new, jointly owned company will be formed, with a view to also establish a research and development facility. The company will also aim to develop and manufacture new models, as well as set up engine manufacturing operations and create a sales network in China. The two firms said they wished to “leverage” their respective strengths. 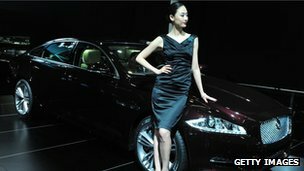 “Demand for Jaguar and Land Rover vehicles continues to increase significantly in China,” JLR’s chief executive Ralf Speth and Chery’s chief executive Yin Tongyao said in a joint statement. Chery predominantly makes smaller, less luxurious cars than JLR, but has good knowledge of the Chinese market. JLR is owned by Indian Tata Motors. 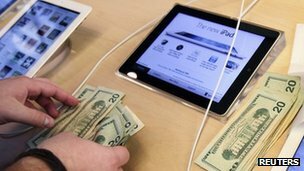 “We have used some of our cash to make great investments in our business through increased research and development, acquisitions, new retail store openings, strategic prepayments and capital expenditures in our supply chain, and building out our infrastructure,” Apple chief executive Tim Cook said in a statement. “At $500 billion, Apple is worth more than Poland” – so shouted the headlines last week. Can the technology giant really be worth more than this entire country? No, and here’s why. CNN started this news line, which was picked up by media organisations around the world. 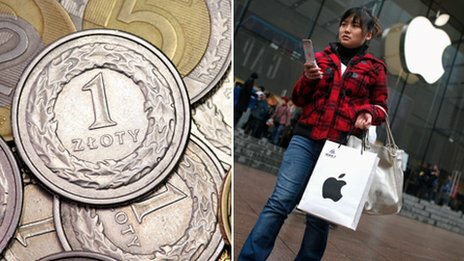 It seems like an amazing fact – that Apple’s stock market value, or market cap, of $506bn (£323bn) makes it worth more than Poland, whose Gross Domestic Product is about $470bn (£300bn). This would make Apple around the 20th biggest economy in the world. But it is not true. It makes no sense to compare the two like this. You might as well compare… apples and pears. This is because the market value of a company is linked to the expected value of all future profits. GDP, on the other hand, is a measure of the value of goods and services a country has produced in a single year. It is possible to compare the size of a company and a country, but it has to be done properly, says Prof Paul De Grauwe, of the London School of Economics. “We would have to make a forecast of future growth of GDP in Poland, and then you would take the present value and use an interest rate,” he says. This would give Poland a comparative value of almost $2.5 trillion (£1.6tn), putting it well ahead of Apple. This makes sense because GDP is essentially a measure of a country’s added value – it is the value of all the goods and services there, minus anything that has been imported. “We would take the sales of Apple and subtract everything that is in the iPhone, but that Apple has not produced itself,” De Grauwe says. Apple’s relative value would shrink four or five-fold if you did the comparison this way, De Grauwe estimates. This would make it the 56thlargest economy in the world, not the 20th. It would be 36 places behind Poland, just ahead of Bangladesh and just behind Vietnam. Even with these corrections, it is true that Apple is a big company. But if a company is bigger than a country, does that mean it is more powerful? Not necessarily, says De Grauwe. And he points out that companies tend to have much more dramatic ups and downs in their fortunes than countries. The market cap – properly called “market capitalisation” – of a company is calculated by multiplying the current value of a single one of its shares by the number of shares in existence. “When you take the market cap of a company like Apple this can change very quickly,” says De Grauwe. “It is quite possible that in five years the market cap of Apple could have dropped to $100bn or $200bn. Warhammer: What is the appeal?